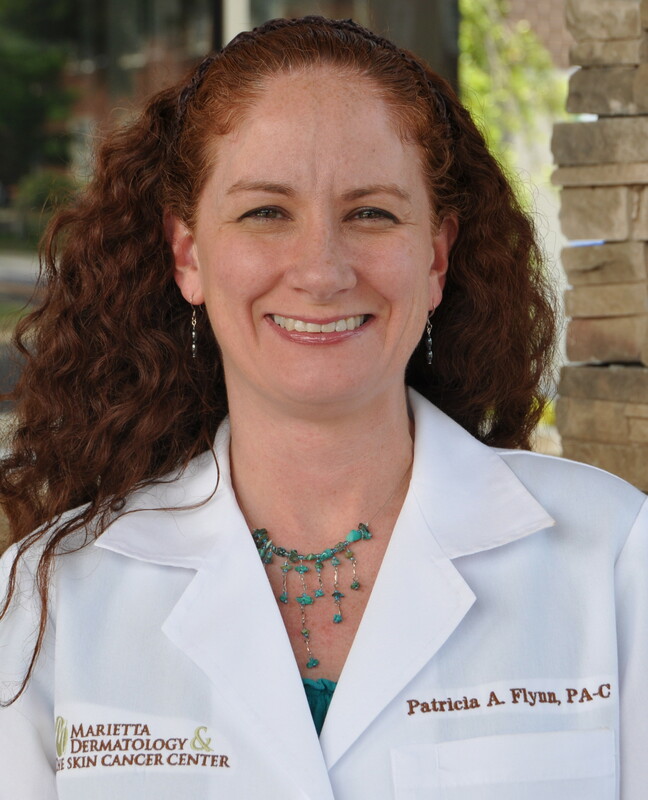 Patricia A Flynn divides her time between treating her patients with general dermatological diseases and assisting with Mohs Micrographic surgery. She attended Loyola College in Baltimore, Maryland graduating with a Bachelor of Arts degree in 1994. After working in the health care field and pursuing her interest in travel, she returned to complete her Masters degree in Physician Assistant Studies at University of Florida in 1999. She worked in Internal Medicine for 9 years allowing her to build a strong knowledge of general medicine. Pursuing her interest in dermatology, she worked with a Mohs surgeon in The Villages, Florida before her relocation to Marietta Dermatology. Patricia enjoys treating and educating her patients of all ages. She is a member of the Society of Dermatology Physician Assistants, Georgia Dermatology Physician Assistants, and the American Academy of Physician Assistants. She resides in Acworth with her husband and two beautiful daughters.